You can recite every feature and benefit of your entire line. You can explain exactly how you stack up against your competition. You can discuss financing options ad nauseam. But can you tell a story? If you want to boost your sales, your storytelling ability is critical. • can put even the most arcane data in context. Long lists of features and benefits put prospects to sleep. A well-told story grabs their attention and keeps it. When you’re talking about your product or service, the prospect thinks about it in the abstract. When you relate a tale of how a customer used your product or service, your prospect relates to the customer in the story. 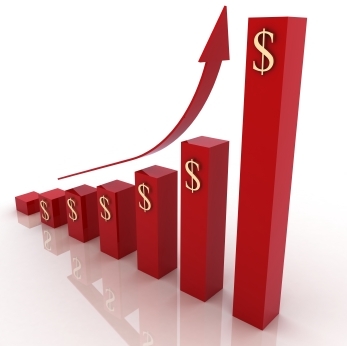 Typical sales presentations try to make a logical case for buying. Stories enable you to engage prospects emotionally, which is the key to buying decisions. Want to hook your prospect’s attention? Rather than open your sales presentation by talking about the history of your company and your commitment to excellence, blah blah blah, open instead with a story about a customer who faced the same challenges or had the same goals your prospect does. Want to close your presentation on a high note? Tell a story that illustrates how the features and benefits you mentioned earlier in your presentation impacted a customer in the real world and the results it created for them. What stories could you tell? How could you use them? When you integrate stories into your sales and marketing efforts, you may not live happily ever after, but you will enjoy more sales success. Want to see an example of a sales story? Click here. Why do some people seem to be able to increase their sales at will, while others constantly struggle? And more importantly, how can you move from the latter group to the former? To learn more about Michele Price and listen to her interview other business experts on Breakthrough Business Strategies Radio (which I highly recommend), check out her web site: www.WhoIsMichelePrice.com. I just got back from a trip to Washington, DC. Whenever I’m in the DC area, I make it a point to stop by Five Guys Burgers & Fries at least once during the trip. Five Guys is a small chain that started with a single location in the DC suburbs and has been spreading across the country like kudzu, garnering awards in every city it enters. The owners of Five Guys understand the power of focus: it enables you to be really good at what you do. Five Guys Burgers & Fries does just that—burgers and fries. They don’t do salads or wings or sandwiches or wraps or chicken tenders or onion rings. They don’t even do milkshakes. Are you trying to be all things to all people? Or are you focused on delivering a specific product or service to a particular customer? Toppings—Among the 15 toppings you can choose from are grilled onions, jalapeno peppers, tomatoes, mushrooms, relish, green peppers and more. All free. Fries—Fresh potatoes are cut right in the store. How do you know they’re fresh? 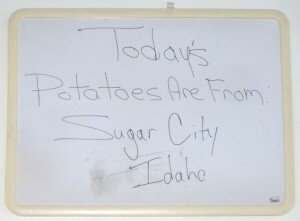 Every store has a whiteboard sign stating where in Idaho that day’s potatoes came from. Also, those potatoes are actually stacked in the dining room. During lunch and dinner rushes, you’ll see workers walk out into the dining room, hoist a sack of potatoes over their shoulder, and head back into the kitchen. 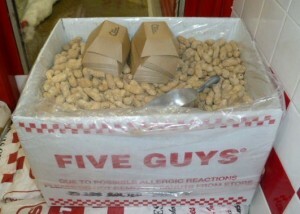 Peanuts—Dying of hunger while you’re standing in line waiting to order? Help yourself to unlimited free peanuts. There’s a box or barrel of them in every restaurant. Whatever you sell, there are lots of other companies who also sell it. What makes you truly different? Why should prospects choose you? Like any chain, Five Guys has to deliver a consistent experience, so whichever outlet you visit, your expectations are met. 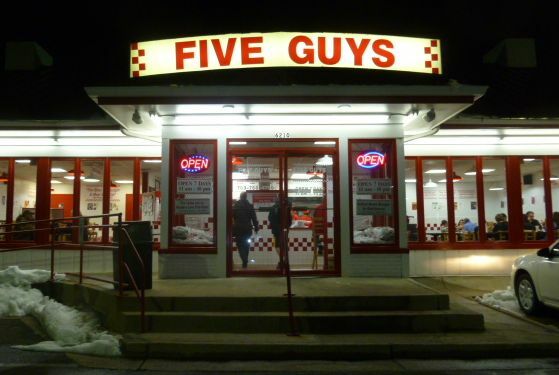 But the very first Five Guys had to deliver a consistent experience to build its following in the first place. Think like a chain. How can you create systems that ensure your customer has a consistent, dependable experience with you? Five Guys isn’t cheap, but they’re not ludicrously expensive either. You’ll pay more there than you would for a “value meal” at a major chain, but you won’t need to max out your credit card. And you get generous portions for your money—a large order of fries can feed an apartment complex. Your prospects don’t necessarily want the best price, but they do want the best value. Are you giving it to them? Without constant discounting? These days, good isn’t good enough. Lots of companies are good. If your customer’s experience with you is merely good, they’ll try somewhere else next time. So how do you rate? Are you, your company, and your product or service just good? Or are you truly great? 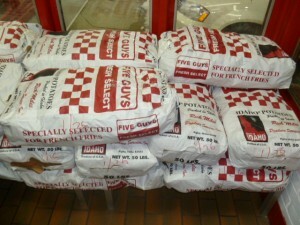 To find a Five Guys outlet near you and experience their deliciousness for yourself, visit www.fiveguys.com. While you’re there, think about how you can apply these principles to your own business. It’s a proven recipe for success.